We’ve used a waffle textured cotton for this new babygrow. In a new soft pink zig zag print and with easy poppers to make getting her dressed (and undressed) easier. This twin pack of footless knitted legging tights are an essential addition to any little one’s wardrobe but thanks to the animal motif on the bottom they’d make a great gift too. 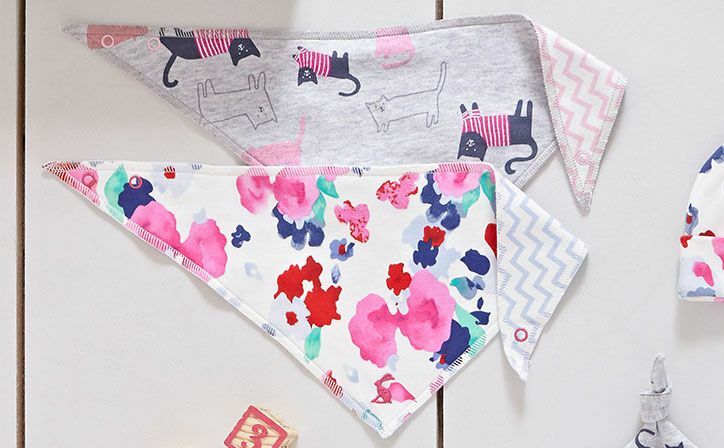 Spillages are a certainty which makes this brilliant little reversible bib a must-have. Crafted from super-soft cotton and in all new, hand-drawn prints. What about the Ziggy Babygrow? This all-in-one babygrow is crafted from the finest cotton and comes in a hand-drawn print. For warmth and comfort throughout the autumn and winter months this is a great option. Finished with a smattering of well-place poppers for easy-on and easy-off. 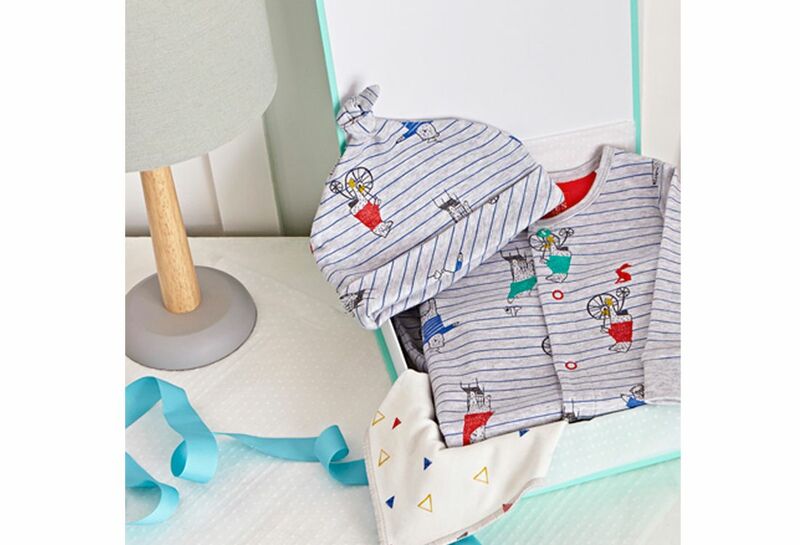 In a delightful new print this little hat will make sure that your little one stays warm in style. Crafted from super soft cotton jersey it’s a must for any baby’s first wardrobe. A Top and Bottoms Set? For any boy with a bit of wild side, this top and bottoms set is king of the jungle. Or wardrobe. With a lion’s face and little 3D ears it’s as charming as it is practical and stylish. How About Baby Shower Gift Boxes? 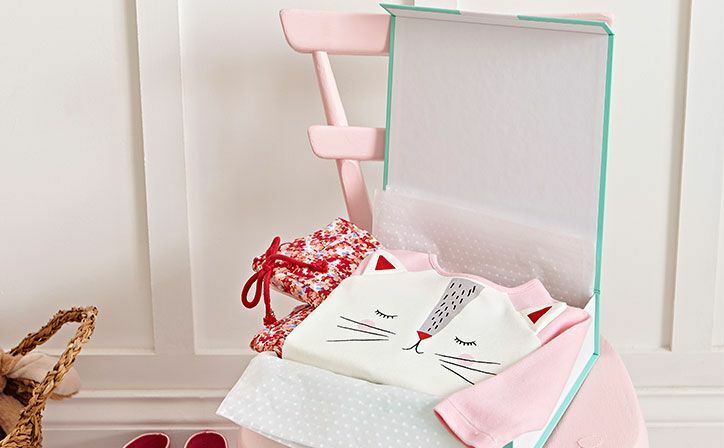 This luxury baby gift box comes flat-packed and is available in two sizes. Large W35cm x H36.5cm x D10.5cm and Small W23.5cm x 24cm x 6.5cm. The perfect way to package any baby’s present. 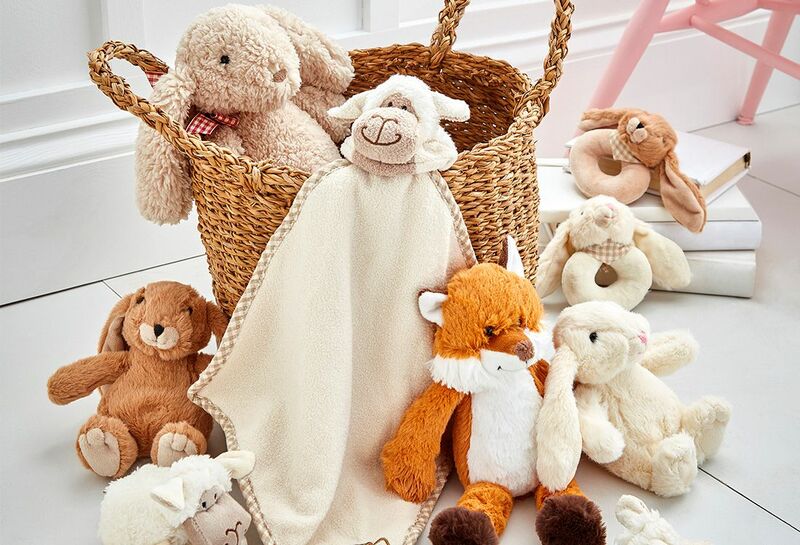 What is your perfect baby shower gift?